This is number 5 of the 6 ways I saved 5 lbs between 2016 and 2017. I got a lighter tripod. 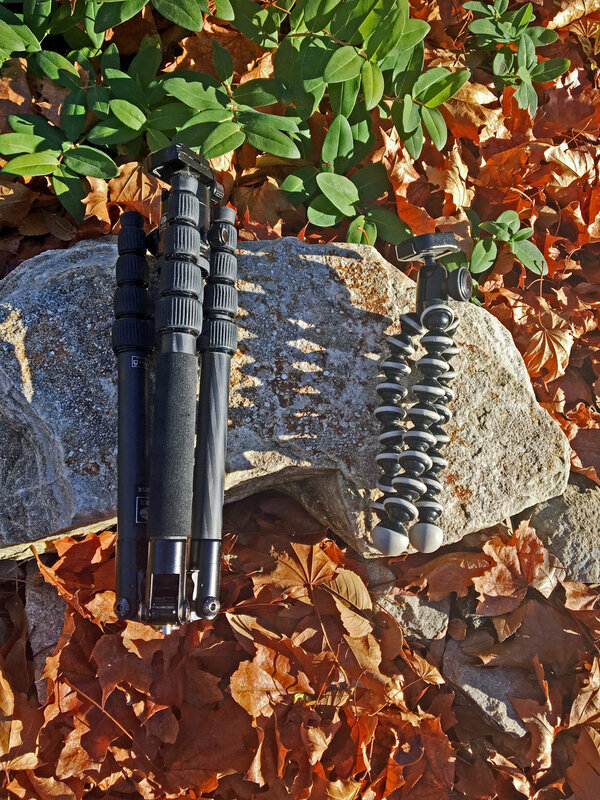 In 2016 Jim and I did the JMT with a carbon fiber tripod, the Sirui T-025x carbon fiber tripod. We used it every day of the 22 day hike, for the camera and timelapses on the iphone. 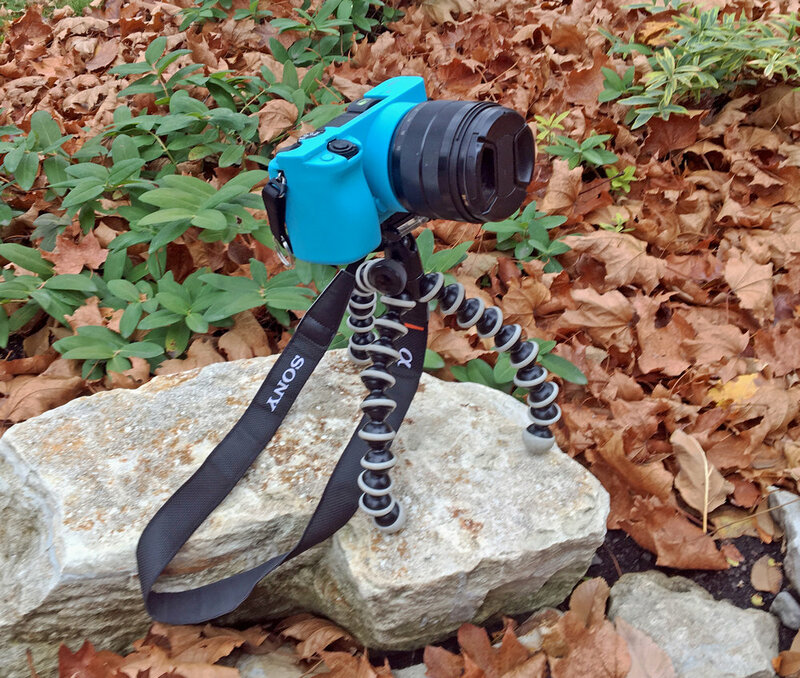 I hiked with it in one hand generally, so I could quickly set it up and get a video of hikers on the trail. It was a great tripod, and fairly light at 1 lb 14.3 oz. My photographer friends say that is way too light for a good tripod. 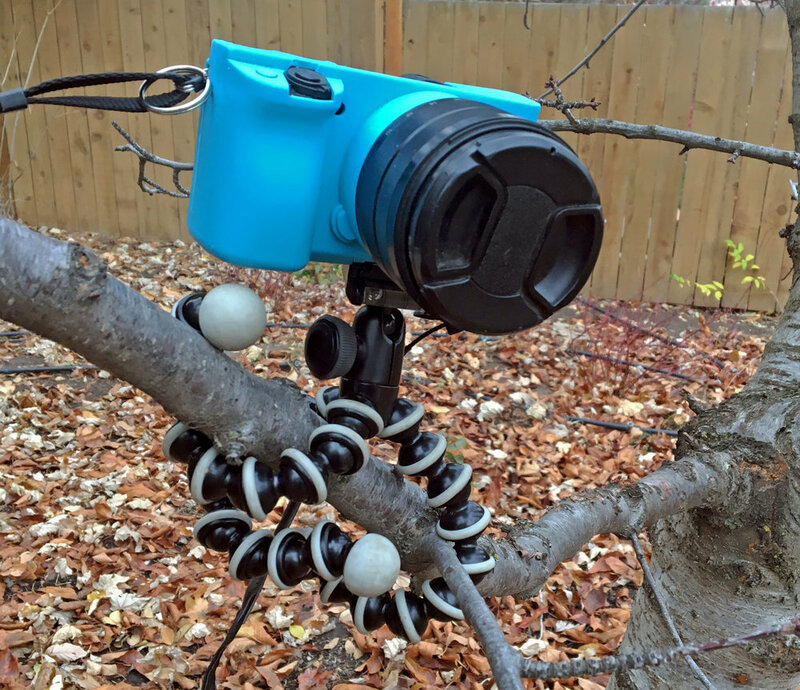 My ultralight friends say that is way too heavy for a tripod, and you don't need one anyway. For photography they are pretty nice, and we even used it as a stand for our gravity water filter. 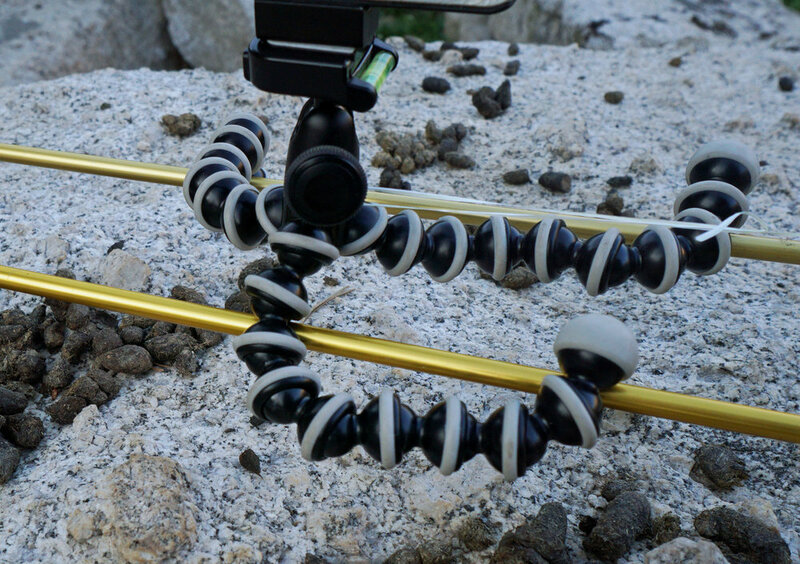 In 2017 I got a Gorillapod and it worked fine on the trip. It weighs 6.6 oz, so saved me more than a pound. Of course its shorter, but there is almost always a rock or log to set it on, or even a low tree branch around which it can wrap. The guy at REI said it was not strong enough to support my DSLR (Sony a6000), with a big wide angle lens. We set it up, and proved that it was strong enough to support the camera. It also proved useful as a sliding carriage on our UL camera dolly. I did not miss the bigger tripod at all.